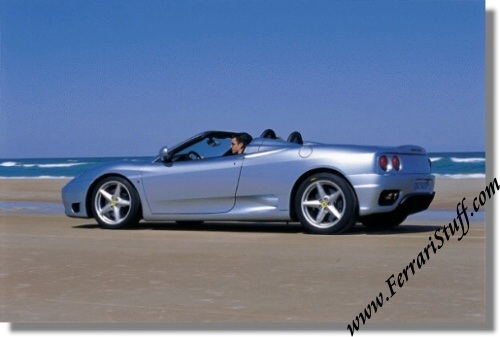 Ferrari factory original 2000 Ferrari 360 Modena Spider Press Kit on CD-ROM. 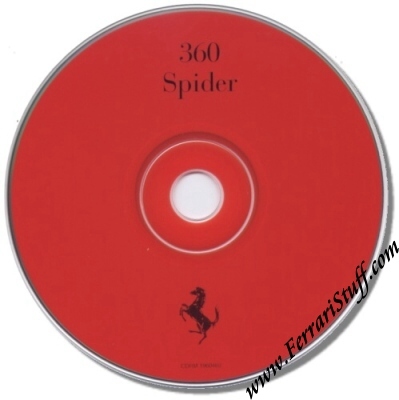 This CD-Rom is the digital version of Press Kit # 1596/00 which was issued at the introduction of the Ferrari 360 Spyder in Monaco in 2000. It contains a 62 page PDF document (a digital version of the printed press kit) and some 56 digital images on the then new 360 Spider. Ferrari Print Number CDRM 1960460, issued in 2000.